Winner, PROSE Awards, Best 2018 Book on Architecture or Urban Planning! 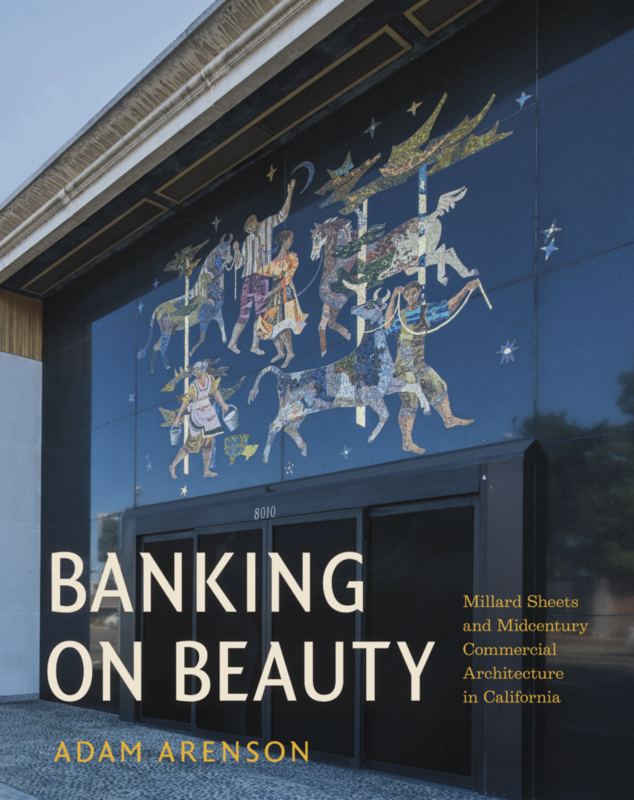 Expansively researched and illustrated, this lively history recounts how the extraordinary partnership of financier Howard Ahmanson and artist Millard Sheets produced outstanding mid-century modern architecture and art for Home Savings and Loan and other commercial clients. See the list of Home Savings art and architecture locations and Millard Sheets Studio commercial commissions. Read my one hundred blog posts about my research in creating this book. “Home Savings in Pasadena: A Turning Point for the Millard Sheets Studio’s Art and Architecture, and its Preservation,” California History Leading Edge column, Summer 2016. “Millard Sheets Art in Beverly Hills.” Beverly Hills Television. May 2014. “Happy Birthday Millard Sheets: Top Ten Public Art Projects to See in Person,” KCET Departures guest post, June 24, 2013. “Millard Sheets Mosaic Back in Beverly Hills,” KCET Departures guest post, April 16, 2013. “How midcentury mosaics were saved, weeks from the wrecking ball,” Dallas Morning News July 27, 2012. Interview (audio), Creative Orange County by GYST Radio, May 29, 2012. “Millard Sheets: A Legacy of Art and Architecture” booklet, with the L.A. Conservancy volunteers and staff, in conjunction with Pomona Valley sites tour. March 2012. “Paying Dividends: How Home Savings & Loan Perfected the Art of Banking in Southern California,” Huntington Frontiers (Fall/Winter 2011-2012), 18-24. “The Art of Home Savings in San Fernando Valley mosaics, sculptures,” Daily News Los Angeles, October 10, 2011. “How Research Blogging Improves Urban History,” Urban History Association Newsletter(August 2011), 10-11. “Saving the Bank’s Artistic Assets,” Edge of the American West (April 24, 2009).